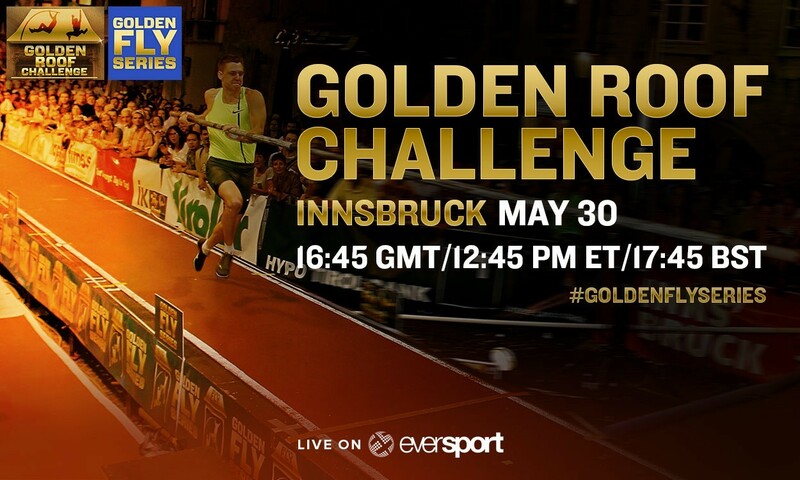 Athletics action returns to the streets of Innsbruck in Austria on Saturday May 30 as the 11th Golden Roof Challenge again forms part of the Golden Fly Series. Athletics Weekly has teamed up with EverSport who will be streaming coverage of the long jump and pole vault event live. Tune in via this page on Saturday May 30 from 17:45 UK time (16:45 GMT and 12:45 ET) to watch the live stream. Athletes set to compete include Brazil’s 2011 world champion and 2014 world No.1 Fabiana Murer in the pole vault, plus world silver medallist Ignisious Gaisah of Netherlands and Mexico’s world bronze medallist Luis Rivera in the long jump. Further athlete information can be found here. A report and video montages from the 2014 event can be found here.